From the Toompea hill in old town we have a great vista of the roofs and some churches in Old Town Tallinn as we at the same time have the new higher buildings in the back. This photo is a stitch of 4 photos. Did you know that more than half of Estonia is made up of rural villages, farmland and forests? 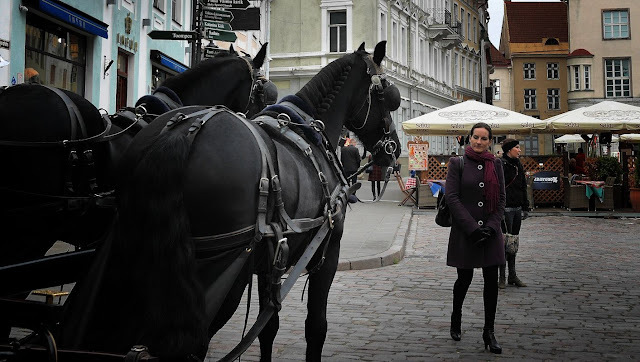 We went to Tallinn back in March, but only for two days - we would have loved to do the KGB Museum & Tallinn Legends but we just didn’t have enough time. We definitely want to go back & also explore Estonia's fabulously green countryside!